A view of Number One Observatory Circle, the vice president's residence located on the northeast grounds of the U.S. Naval Observatory in Washington, D.C. is framed through a arch at the Family Heritage Garden. Number One Observatory Circle, the vice president's residence located on the northeast grounds of the U.S. Naval Observatory in Washington, D.C. The foyer and steps leading up to the private residence of the second family of Number One Observatory Circle, the vice president's residence located on the northeast grounds of the U.S. Naval Observatory in Washington, D.C. 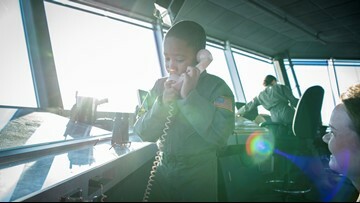 The watercolor of The United States Capitol dome by Second Lady Karen Pence hangs on the wall of Number One Observatory Circle. Vice-presidential napkins in the sunroom of Number One Observatory Circle. Inside the library of Number One Observatory Circle. The Family Heritage Garden of the Vice President at Number One Observatory Circle. Hazel, the Pence family cat, sits in a corner at Number One Observatory Circle. Second Lady Karen Pence in The Family Heritage Garden of the Vice President at Number One Observatory Circle. The half basketball court was installed primarily to have a level platform to help with catering outdoor events. 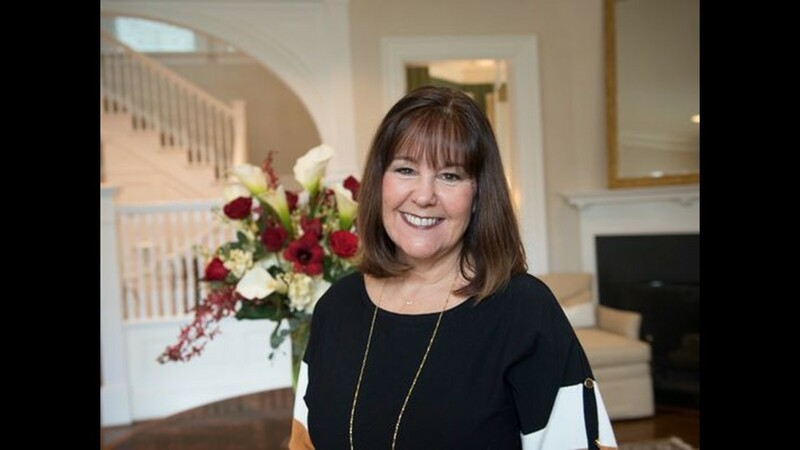 Second Lady Karen Pence in The Family Heritage Garden of the Vice President at Number One Observatory Circle, the vice president's residence located on the northeast grounds of the U.S. Naval Observatory in Washington, D.C. The blue and gold seats of the dining room chairs brought into the home by former Second Lady Marilyn Quayle. 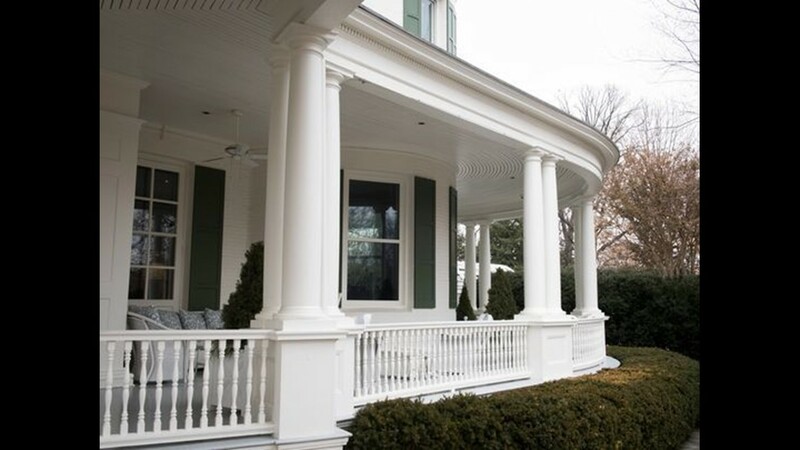 A porch at Number One Observatory Circle. A detail of the one of the blue and gold seats of the dining room chairs. 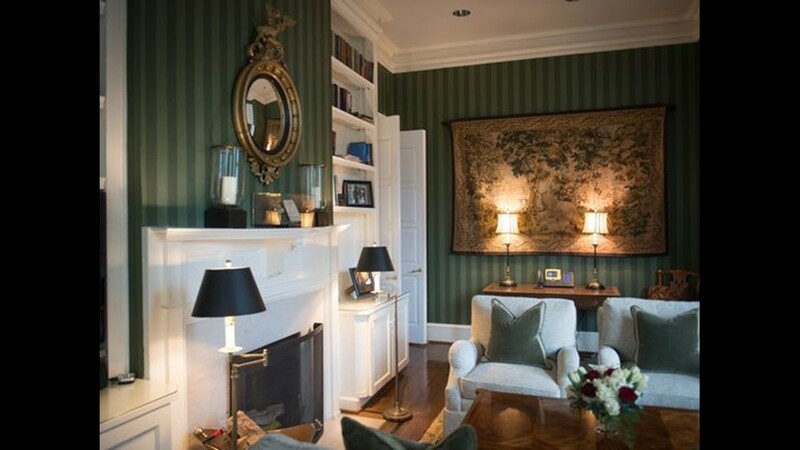 Inside the dining room at Number One Observatory Circle, the vice president's residence located on the northeast grounds of the U.S. Naval Observatory in Washington, D.C. 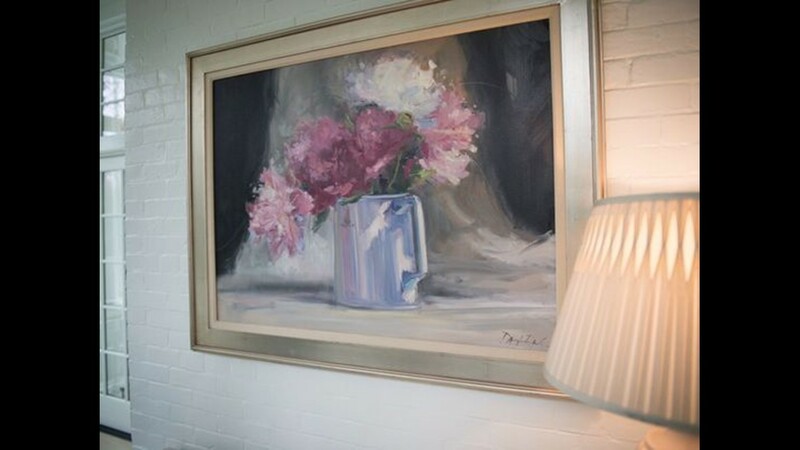 The painting "Red, White and Pink Peonies", Indiana's state flower, painted by Indiana artist Douglas David on loan from the artist in the sunroom of Number One Observatory Circle. The blue and gold seats of the dining room chairs brought into the home by former Second Lady Marilyn Quayle inspired fellow Hoosier Karen Pence's decorating scheme for the formal reception areas of Number One Observatory Circle. The half basketball court was installed primarily to have a level platform to help with catering events. 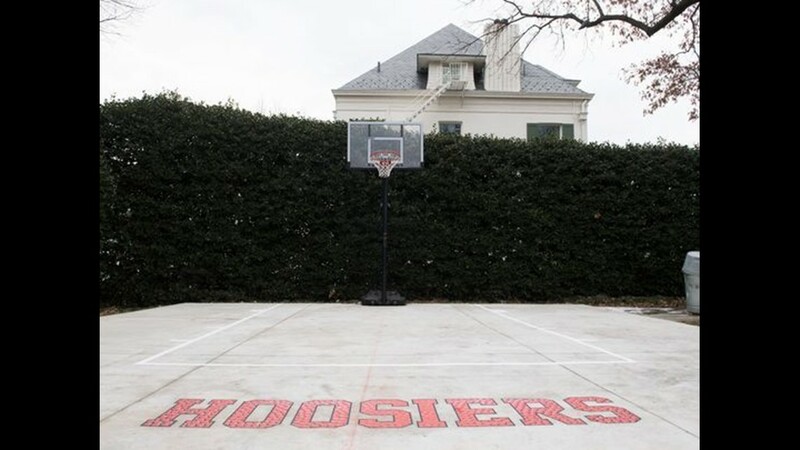 They also had the logo from the vice president's favorite sports movie, Hoosiers, applied to what's now called the Hoosier court. 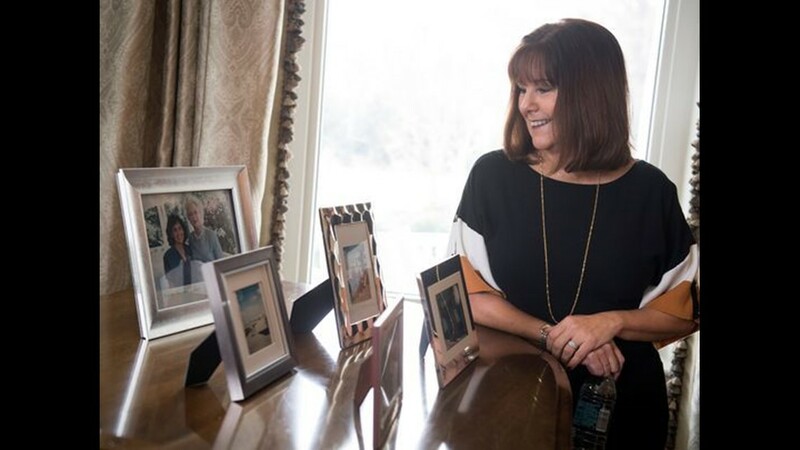 Second Lady Karen Pence in the entry foyer of Number One Observatory Circle, the vice president's residence located on the northeast grounds of the U.S. 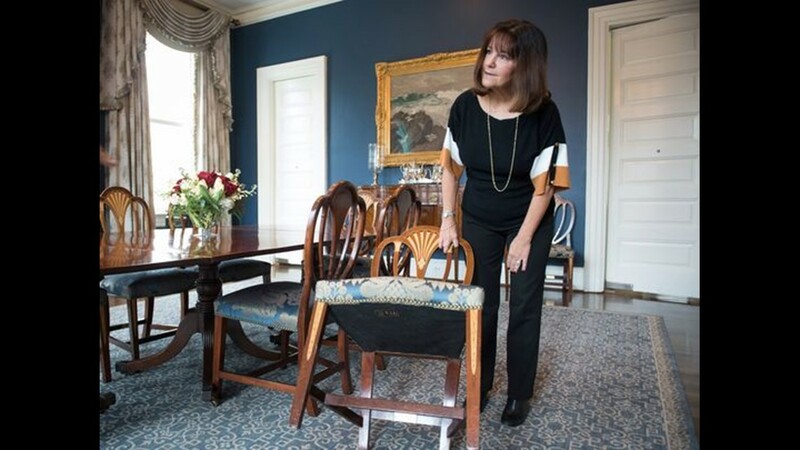 Naval Observatory in Washington, D.C.
Second Lady Karen Pence shows a chair which is part of the blue and gold seats of the dining room chairs brought into the home by former Second Lady Marilyn Quayle. 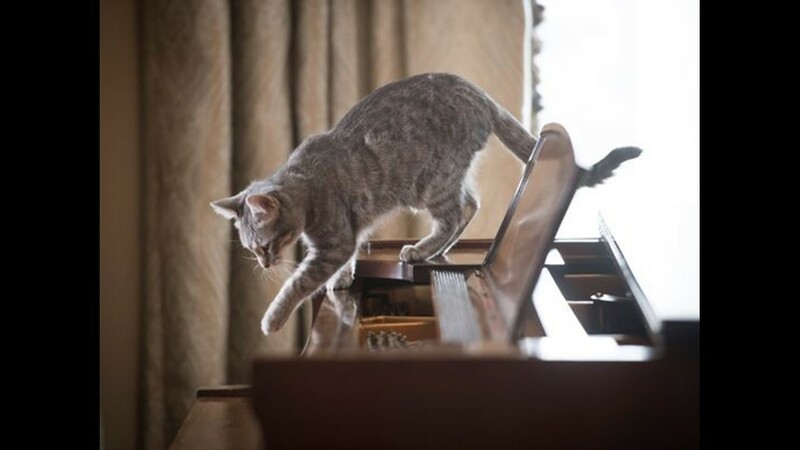 Pence's family cat Hazel walks across the piano in the living room of Number One Observatory Circle, the vice president's residence located on the northeast grounds of the U.S. Naval Observatory in Washington, D.C.
Pence's family photo's on display on the living room's grand piano at Number One Observatory Circle.